UPSC on Friday published the final results for Civil Services Exam 2017. The result has been published on its official website upsc.gov.in Anudeep Durishetty is from Hyderabad has got the top spot, Anu Kumari has emerged second and Sachin Gupta has got the third rank. 180 candidates have been selected for IAS. 42 for IFS, 150 for IPS, 565 for Central Service Group (A) and 121 candidates for Group (B). 750 are men and 240 are women among the 990 selected. 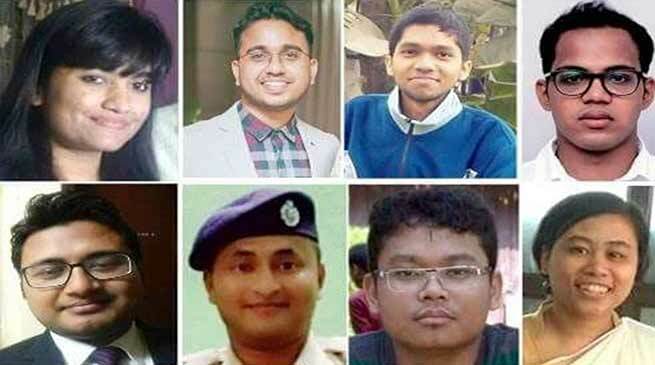 14 aspirants from Assam qualified this UPSC exam. Bipasha Kalita securing the 41st position followed by Swapnaneel Paul 64th position. Newly appointed DGP of Assam, Kuladhar Saikia’s son Aranyak Saikia also succeeded in securing 148th position. Ningthoujam Johnson Meitei- Rank 970. Congratulations to all successfull candidates.